Just a short drive to Kyabram, get up close and personal with a wildlife encounter! Feed a kangaroo, pat a Koala, cuddle a snake and feed their friendly parrots! Encounters operate daily, weather permitting. Open daily ~ 9:30am - 5:30pm. Book and save with this fabulous family friendly experience showcasing three local attractions! The Great Aussie Beer Shed and Heritage Farm Museum boasts 4 Museums in 1 place and is Trip Advisor’s #1 Attraction for Echuca Moama. Open daily during the holidays ~ 9:30am to 5:00pm. The Strawberry Pick allows you to pick your own juicy strawberries right from the plant. Choose from a range of delicious items at the onsite café and take home your very own artisan preserves. Open daily during the holidays ~ 9:00am to 4:00pm. Cape Horn Vineyard & Riverside Bar is the perfect family venue. Let the kids enjoy the vast picnic area whilst playing games or tackle the playground equipment, as you sip on a glass of wine or beer. Feed the troops with a delicious wood-fired pizza. Open daily during the holidays ~ 11.00am to 5:00pm. Holiday workshops every day at 11:00am including weekends! Chameleon Putty - make your own putty that changes colour in your hands + Bath Bomb Blitz - the latest sensation - everyone loves a take home fizzy ball of fun. Come and check out their brand new exhibits and puzzles as well as a brand new game on the AR climbing wall. School Holiday Horse Riding Camp. Billabong Ranch's School Holiday Camp creates a wonderful opportunity for your children to enjoy a week away in a farm atmosphere with a group of like minded children. The itinerary caters for boys and girls aged between 7 and 17 years old. Billabong Ranch pride themselves on their experienced staff and cater to all aspects of horse riding suited to all abilities. The camp is fully supervised. Next dates 14 April to 20 April ~ $699 including meals, accommodation, activities, horses and instruction). Billabong Ranch's Super Pass is available every day of the school holidays. A Family pass is $90 save $20 of the normal price! The super package includes a game of mini golf, entry to the animal nursery, game of frisbee golf, unlimited use of pedal boats, bouldering, beach volleyball and use of playground. The Echuca Paramount Theatre offers both movies and live entertainment. Sit back and relax while you enjoy a friendly and comfortable atmosphere. If you are a 'true blue Aussie' visiting Echuca you shouldn't go past visiting the National Holden Motor Museum. From the day the first Holden 48-215 (FX) emerged from the production line, Holden rose become the colossus of the Australian Motor Car Industry. Echuca's National Holden Motor Museum takes you through the remarkable history of a company that put our nation on wheels. Learn to paddle in the calm safe waters of Maidens Inn Marina then tackle the mighty Murray. Paddle down river to the Historic Port of Echuca. Lessons and boards to hire available. Tour $30 per board per hour and Self hire $25 per board per hour. Bring the kids and experience the Port of Echuca Discovery Centre's new kids trail. Complimentary with your admission fee, the kids trail provides the perfect balance of fun and learning. Seek out the answers with your kids or let them discover on their own whilst you enjoy the museum at your own pace. The Active Kids School Holiday program has a host of daily activities from 7 to 21 April including basketball, soccer, yoga, netball and more! Visit campaspeaquatics.com.au to see the full schedule of activities. Gravity Shack has bouncing covered with interconnected trampolines, performance area, giant air bag, dodgeball area and basketball lanes for the kids (and big kids) to explore. And with amazing specials every day of the school holidays, make sure you pop this fabulous venue on your 'to do' list. Just a short drive to Barmah you can experience timeless natural beauty and peace when you glide through the World-Heritage listed Barmah Wetlands aboard MV Kingfisher. Cruising at 10.30am (2 hour cruise) Monday, Wednesday, Thursday, Saturday and Sundays. A boutique food and wine festival will be held during the Easter school holiday period on the iconic Port of Echuca Wharf and will host a hand-picked selection of the best local producers to showcase the best culinary flavours that Echuca Moama has to offer. Our good friends Matthew Bentley & Lokki Summerville will serenade you into the afternoon whilst you indulge in local wine, beer and cider plus the mouthwatering aroma of local food to tempt your tastebuds. Complete your afternoon with a paddlesteamer cruise along the mighty Murray River or expand your kitchen skills at one of the many cooking demonstrations. Cape Horn Vineyard and Riverside Bar is the perfect venue for adults and kids alike. Kids love their giant chess board and undercover play-ground, plus a picnic area that is perfect for a kick of the footy, or practising your bowling to the batsman. Cape Horn Vineyard have the perfect outdoor family place to visit. You can even bring your pooch along! 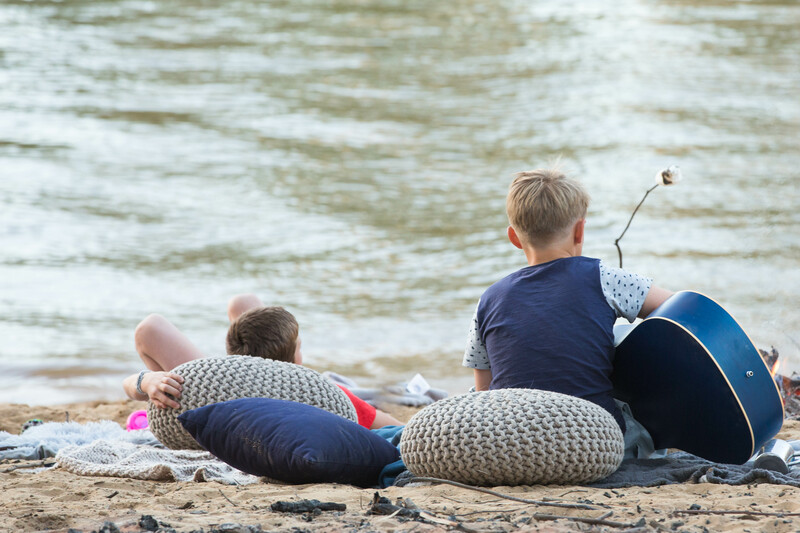 Everyday of the School Holidays you can relax on the Riverside Deck watching the river go by, taste a fantastic wine selection and feed the family with mouth watering wood-fired pizzas. On weekends and over Easter live music will play from 1pm. Send the kids along to this wonderful program designed to give every child the opportunity to make friends with a beautiful horse. This day is jam pack full of horsey Fun! Grooming, ground communication and riding. Sharing fun times with your horse on a challenge course and rain ride to cool you down! Working as a team member with other children and the horses brings out the best in everyone. Other activities include whip cracking , roping performing animals & catching yabby's (in season) Recommended for ages from 6 to 16 years and catering for absolute beginners (activities will vary depending on your child’s confidence and experience). Daily canoeing safaris on the nearby Goulburn River. School children are ½ price with their parents. The kids will love the Spotto game at Cactus Country. It will see them exploring the garden in search of the cacti listed on the spotto sheet. You’ll enjoy marvelling at the impressive range of cacti gardens. Open all year round. PLUS Easter Scavenger Hunt on Easter Saturday and Sunday! Just a short drive to Strathmerton. The SCA Under Armour Soccer Camp hosted by AYFI in Moama, will be held at Brick Alley Field, these school holidays. It creates the perfect environment for soccer players of all skill levels and ages to get better and have fun! Players will be coached each day by George Lazarou and his experienced coaching team from AYFI. The unique curriculum of SCA Under Armour Soccer Camps will help you improve your weak points and teach you how to take the rest of your game to the next level! Become a wildlife detective to find out what goes on in our Parks when we’re not looking! We’ll search for animals and all the clues they leave behind! All Junior Ranger activities are free, and are suitable for children aged 6-12 years. Download our complete school holiday guide here!